"I have been a pitching instructor for 29 years. Pitching is all I do, 6 days a week, 8 - 14 hours per day. I have 83 students at this time. Over the years I have had many people approach me with different products. Instant arches® is the ONLY product I have used, that delivers what it says. I have an 18 year old that kept collapsing his back leg. I put instant arches® in his cleats, he " felt" the difference right away! He increased his velocity by 8 mph in less than 5 pitches! I am a huge fan of instant arches® and will have ALL my players using them within the month. Thank You Dr. Rosenberg for a product that truly delivers." Instant Arches® Arch Supports Baseball and Softball are the only arch products in the market today that are specifically designed to support the foot in baseball and softball cleats. Arch Supports baseball and Arch Supports Softball has a unique patented design, this insole arch product will keep your feet supported and your lower half balanced when hitting, fielding, pitching and running. Balance equals lower half stability and power, when your lower half breaks down it will affect your upper half. When your upper half is not in sync with your lower half the end result is less success at the plate, on the pitcher’s mound, out in the field or running the bases. 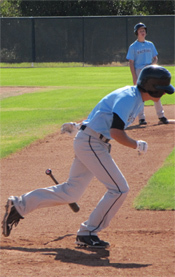 Feet are the foundation to creating better balance in your game whether you are hitting, fielding, running or pitching. Arch supports will give you the edge you need for maximum performance. Whatever skill set you are trying to improve, establishing a controlled weight transfer through your feet with Instant Arches® Baseball and Instant Arches® Softball will help you achieve your goal. When your feet abnormally pronate, it will cause your arch to collapse towards the ground and flatten out. Feet become unstable during this process and therefore your lower half will become less stable and imbalanced. 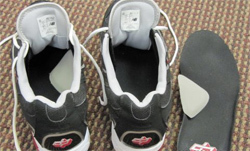 Poor foot biomechanics can affect the 5 tools of baseball. 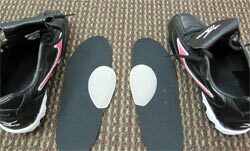 The foot is designed to be a mobile adapter upon contact with the ground and a ridged lever during propulsion, having abnormal foot biomechanics can throw off that design. There are 26 bones in each foot therefore close to half the bones in our body are found in the feet. So when the foot hits the ground everything changes from the ground up. 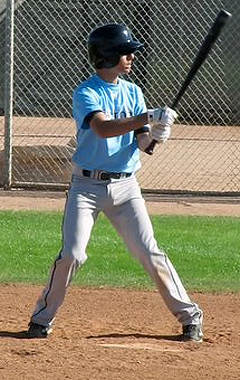 As a hitter, the more stable your feet are in the batter’s box, the better balanced you become. When you're fielding a ground ball you need to transfer your weight, plant your feet and throw. As a pitcher, balance is extremely important for accuracy and velocity. 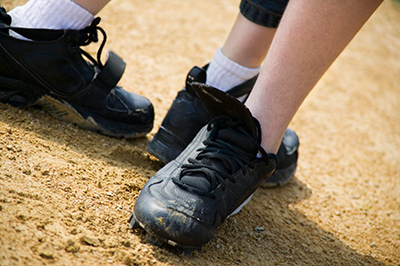 Speed is one of the 5 tools of the game and if your feet are not properly supported it could be the difference between being safe or out when stealing, running to 1st base, tracking down a grounder or catching a fly ball in the outfield. Vision is also an important part of being balanced. Tracking the ball effectively will help set your feet in the proper position therefore allowing you to transfer your weight more evenly and react. Dr. Steven L. Rosenberg Named as the Official Arch Specialist for Baseball Factory & Softball Factory! !